Aftersales Dealer of the Year 2nd Place! Our Enfield Depot has been awarded runner-up status in the prestigious Renault Aftersales Dealer of the Year award, seeing off competition from the leading franchise holders across the country. Depot manager Martin Stroud, pictured below, picked up the prize at the annual Renault awards cermony. 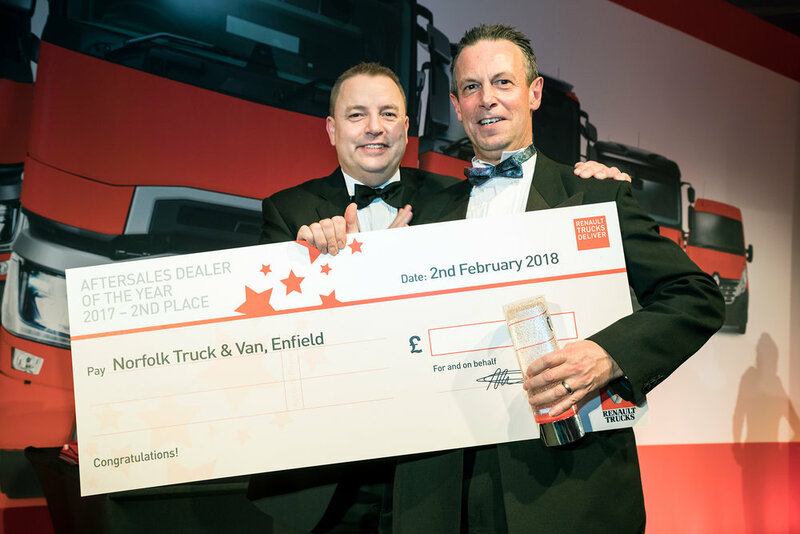 This achievement marks the second time Norfolk Truck & Van has received high honours from Renault; Sales Dealer of the Year was collected in 2016 by our Norwich depot. Well done to Martin and his team on a thoroughly deserved accolade. Visit our Enfield depot for award-winning service and customer care today!